Above is the card designed by Minted that we planned on sending for Christmas, but never had time because pregnancy and poisoning kinda got in the way! Minted is my favorite card shop. Not only are they based in San Francisco, but what makes Minted unique is that the company crowd-sources from a global community of designers, then sells the best designs (voted on by consumers and designers) as stationery and art for the home, holidays, and special occasions. It’s a brilliant concept that gives exposure and income to indie designers, and allows the public to to tap into this enormous talent! 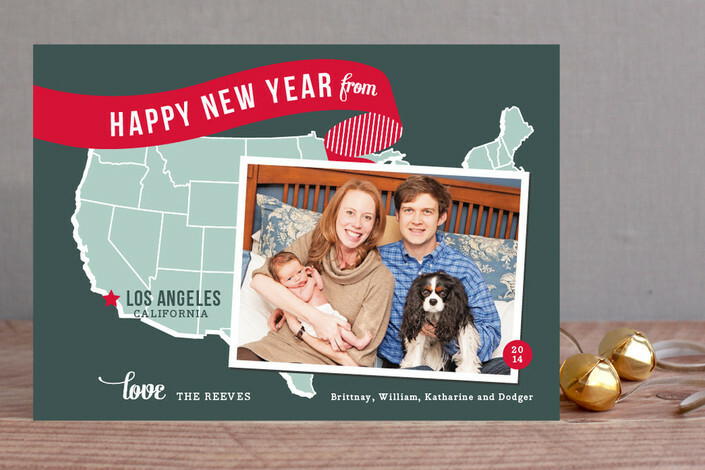 You have more than enough time to send out New Year’s cards especially since Minted has such gorgeous designs and they make it so easy. Here are my favorites from their New Year’s collection. 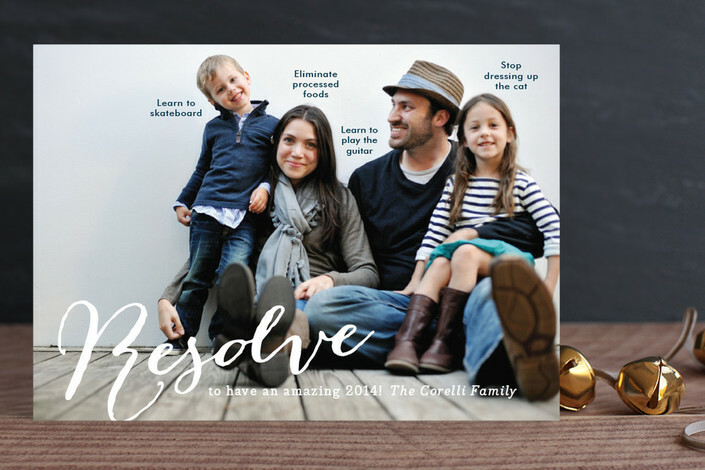 Discount: 15% off all holiday and New Year’s cards using code FLURRY15 by December 23. 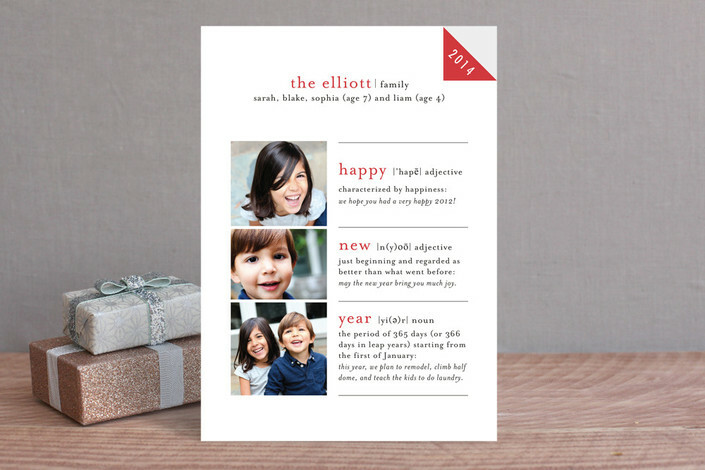 Convenience: Recipient addresses printed free on your envelopes with holiday card orders. 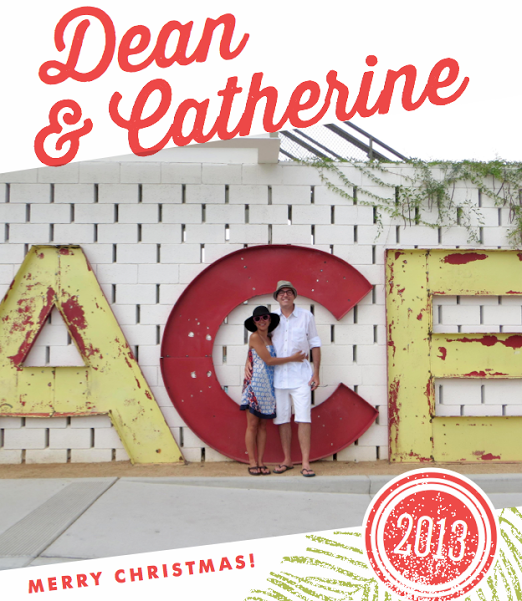 While this post was sponsored by Minted, all opinions are my own—as Minted really is my fave. This is so cute! If it is any consolation I only sent one card this year and it was from a prior year – so bad. haha, glad I am not alone! They are awesome!! I’m a photographer and couldn’t get my act together this year. Next year. Minted. glad you like them. hopefully you will be happy with using them next year too. thank you and it’s okay, I am just glad to be better now. enjoy the deal and browsing the website! Nice card of you two. Great card! I received several Minted cards this year and I was impressed. I did not get a card out, first time in 16 years and I am feeling rather lousy about it. Maybe I’ll do one after New Year’s. I did finally get all 3 of my kids together for a picture the other day and I am hoping (praying more like) that one of them is good. If one is, then I am going to check out Minted! glad you liked the minted cards! hopefully you will get a chance to use them in the future. hope you get a few pictures of the kids you like. good luck! I’ve looked at Minted cards before, but I’ve never bought them. I’ll have to check them out next year; I’m a sucker for clever cards. thank you. that is so true, and a fun way to end the year too.